WTG, Prospector! The finished room looks great. Fancy, going with two paint colours! Thanks. The colours will look better once the plate rail is up, but it has to wait for the window trim, which has to wait for windows. Fantastic progress. You are so impressive with your drive and know-how. I spent two hours at Lowes this weekend talking to their kitchen dude, nodding and making "mmhmm" noises as he talked about how awesome they are. Since our kitchen redo is going to involve moving walls the plan was more than he was able to draw up but he's sent my information to an architect who will come out to our house to draw things up and give us a quote (at a cost of $75, but that seems reasonable to me). The dude I talked to played up that they are more interested in making a customer for life so they will give us a good deal on cabinets, but I'm curious how that will hold up once I start asking around for other quotes. I've had mixed results with box store contractors. They are the easiest to get to show up and quote a job. The lumberyard for countertops is a small contractor-focused place. Not one that sells washing machines. Good to know. Since we're firmly in the research stage getting them to show up and quote a job is what I'm most interested in. I've already got a word of mouth referral from someone who recently had their kitchen redone and I'm working on getting a second one (coworker had work done on his house but didn't remember if the guy also did kitchens) and then will do Angie's List to find one or two more names, so we should have 3 non-Lowes quotes. For now we're trying to get a plan drawn up because I have no idea if we have room for an island in the middle once we move some walls, so they'll be helpful for that. Thanks dude. The switch from "construction site" to living space seems to happen once primer goes on. Paint and trim take things to teh next level awful quick. I came this close (holds thumb/forefinger together) to buying a new saw this wkend. Lowes has the Bosch 12" dual bevel sliding compound miter saw on sale for $399. Its cheaper than the 10". The slide on it is pretty smooth, but you can still feel the bearings as you roll it. It would be functional for what I do, and a good addition to teh tool crib... But its a frickin' monster. I mean you could cut logs with it. And I don't know how I'd fit it in the garage. I can't see trades guys lugging that monster around for the off-chance that they have to cut some 6" crown. I would hate just carryin git upstairs and trying to get a setup going in the hallway to cut trim for bedrooms. I guess they must have gotten too big with the 12" saws. I dunno. I've always thought it was a good idea to have the same blade size on the TS as the CMS. And I've never had a slider, although I've probably made some cuts by tipping the board that would have gone better on a slider. Now I see the Dewalt 10" is on for $499 at Lowes. I've had good luck with Dewalt in the past - for heavy homeowner tools they seem to stand the test. My grinder is 20 yrs old and has seen some pretty - unintended - use. I've only done 1 full kitchen tearout/replace. We hired an interior designer - a coworker's wife to do a 1 hour colour consult. Since she was just starting up her business she offered to do it for us for $100 with the guarantee that she would save us twice that much or more. We were setting up the kitchen to sell the house, so we wanted "Form over function". In the end we got IKEA cupboards and a locally sourced counter-top. The designer sourced all the pulls and cabinet hardware as well as some funky inserts (wine rack, towel rack, etc.) and lighting. She also worked through the design process to pick paint colours and pull together the flooring, cabinets, walls and counters. It looked amazeballs. And she saved us a crapload of money. As in discounts on everything except the flooring and cupboards. But we chose the cupboards we did because they were in the clearance section of IKEA, and teh floor we had ordered before we called her in. Anyway, you may find yourself ahead to call in a local designer for a consult. Dunno. Yeah, paint makes a nice noticeable difference! 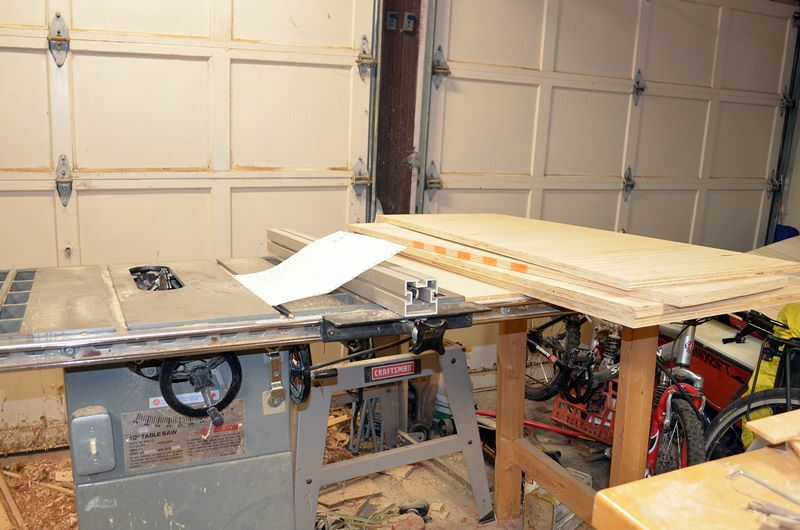 I've never owned or used a sliding saw myself and I've run miles and miles of trim in my day. I've never really seen the appeal of the sliders, like you said they are huge and heavy to carry and take up too much space in the truck! We've always had 12" Dewalt miter boxes. They work for 90% of projects and on the very rare occasion we need something bigger we break out our 20+ year old 15" Hitachi. That thing weighs a ton and doesn't not rotate as smoothly as the dewalt but works if you have some massive trim to cut. A year or two ago we also bought a 7 1/4" Miter saw for the first time to use to cut this screen track system we use a lot. The track is only 1 and a half inches plus finding a smooth cutting metal blade for a 12" saw is hard and expensive vs. the 7 1/4 which is standard skill saw size so readily available. So I paid $75 for the crappy tire saw, which can only cut firewood accurately. The casting on one leg broke off, and the fence is warped. My other saw is a +/- 10 yrs old Rockwell "shopmaster" or something that has more than earned its keep. From what you are saying, I can replace the Rockwell with something like a DW713 for $300. Huh. I really can't see wanting the 12" blade size. But to get the similar capacity, I would need to get the DW 717 - which is the slider. I know there is more slop with the additional moving parts in a slider. I should compare footprint of the slider to the chop saw. A review put the Craftsman Compact 10" slider at teh top of the list. Shocked me, and it smacked of marketing. Apparently the movement on it results in less slop and a smaller footprint, but the detents are crap. Maybe I'll just wait for Fathers Day sales to kick in. From what you are saying, I can replace the Rockwell with something like a DW713 for $300. Huh. I really can't see wanting the 12" blade size. Depends what your usually cutting I guess. Over 50% of the houses we work on have 5 1/4" Base molding which you can't miter with a 10" saw. In fact even with the 12" saw you have to cut all the miters in one direction or the arm of the saw hits just before getting cut all the way through. You cut with it standing up? Doesn't it tear out the back pretty bad? I always lay the piece down and tilt the blade. Especially with cheap (MDF) trim I find that cutting it standing up makes a mess of the back. Am I missing a trick? Also, cutting the laminate flooring was hell on wheels for the blade. But a laminate blade is a ridiculous price. Not sure what to do there. As long as the ugly is hidden under trim, I'm leaning toward buying a cheap $10 blade that I can throw out after the next room is done. Tilting the blade takes to long compared to swiveling the blade. I was taught to cut it standing up and it's all I've ever seen carpenters do. The few times I've tried cutting with it tilted it's harder to get the angles perfect too. I guess it could tear up the back a little, but you don't see the back when it's nailed to the wall right? I'm sure a sharp blade helps to not tear up front or back. I also cope most of my inside corners with a coping saw so the back gets cut off; I just 45 it to use that edge as my guide for cutting the cope. I refuse to work with MDF trim after trying it once. It's so hard to work with, doesn't take painters putty well, every nail hole gets blown apart by the nail gun,does not look as good painted etc. Yeah laminate is pretty much hell on blades. Way back when we did our first Pergo installation in the late 90's we learned to figure a new blade into the cost of every laminate job. We typically just use whatever blade is on the saw for all the laminate; then switch to a brand new blade for running th eshoe mold and then it's on there for the next trim job. I love coping. I am very slow. Jealous of your mad skillz. Ha ha, I've just had lots of practice :) One time early in my career we were subcontracting trim work for a new builder and I trimmed over 100 condos and town homes in a year. I'm nowhere near that fast anymore. I think overall coping is actually faster because it gives you a little more leeway to have cuts fit vs. mitering where you end up re-cutting half the pieces. One tip for base to save running back and forth to the saw a million times is to draw a quick sketch on a piece of cardboard or scrap of wood for a whole room and cut 5-6 pieces at once. A sketch is far superior to just a list of measurements because then you can see where your copes, outside corners, etc. are. Also assuming your right handed always make you straight cuts on the left and copes on the right, much easier to cut those. I'll try that next time. For now my best trick is to get it as close as possible, and have Momma come through behind me with a tube of caulk to hide all the gaps. "Putty and paint are what the carpenter aint." I just found this thread and wasted an enjoyable part of a really slow work day reading it. I'm extremely impressed with how much work you've gotten done in so short a time. It's all coming together really well! Thanks though, it is rewarding watching the pieces come together. I hate it when I hit the delete button and lose a whole post. Some contractors say the way to go is with a retrofit insert since it will save money. Others say to go with a complete replacement so that window area isn't lost. So far teh retrofit/insert seems like the way to go. Just remove the existing window and whatever gets in the way in the frame, then pop in the new unit and trim it out. The lumberyard where I got the sink assures me I can DIY these. They say that with the level of work I've done, windows will be a breeze. This may be true, but I am concerned with waterproofing. The windows come with a flange which obviously is supposed to go under the vinyl siding. The vinyl is over wood of questionable quality. There was a lot of rot under the windows when we did the interior. I don't want to open that up again. Especially not up on a ladder. With 57" of window. I've been following the window flashing thread with interest, but I don't think it addresses the replacement windows in a 1920's wood sided house wrapped in foil insulation then vinyl siding situation. If anyone has a website or youtube video that will offer inspiration, I'm all ears. Replace them btwn tenants down the road; it's a whole 'nother job! Get the place rented and start to make back some money. You might find the rental market isn't what you thought, or it might not be for you. Get you first tenants in and plan from there. No can do. One got broke during renos. Gotta be fixed. Posting to follow a fellow Ontarian! You're doing amazing work - I consider myself really handy, but this project is huge and I tip my cap to your sir! Can't wait to see the upper finished and generating worry-free income for you! Nice to meet you Wallet. Last night I went and got some 3/4 Poplar ply at HD. I was going to get MDF, but the ply was opnly $1 more per sheet so I got it instead. Tonight I ripped it down into manageable chunks and machined the edges to join it into drawers. Tomorrow before I leave, I'll cut down the individual drawers and glue them up before I head to barnhouse. Hopefully the drawers and doors will be complete before next weekend, then I can put together the whole kitchen when the new counters arrive. Another weekend at Barnhoue is a wrap. 1. Entryway primed and ready for paint. New panel put up to replace the old panel we tore out. New panel (Plain unprimed MDF) was $15.00 total. Sweet deal. 2. Living room trim caulked and painted in high gloss exterior white. 3. Master bedroom trim completed. 4. Dining room floor installed. Attempted to order new windows for living room. Stymied by bad measurements in Home Depot guy's quote (He measured 2" too big, good thing I noticed it while getting a comparison quote) - Windows will cost $2037 at the same building yard where the countertop is coming from rather than $4500 from Home depot. Also the window sales guy pointed out how super-easy the install will be based on photos from our living room. I am happy and excited to give this a try. I took some phots and stuff, but the phone wouldn't post to this thread this weekend. Weird. Been following along. Good work, man. Exterior paint on the LR trim ? Just using some up ? For us Ontarians, may we ask what lumber yard you are going to ? Just an Eastern Ontario local one or something that might have other locations across Ontario ? A trick a realtor showed me years ago was to use High Gloss exterior paint on trim. The shine on it is better than interior paint, it wipes clean easily, levels out nails and seams, and glazes over to give a different depth to the paint. It just looks super-awesome when you do it. Now whenever we put up paint-grade trim, it gets hit with the high-gloss exterior paint. The store is a Castle Building Centre, but I think the suppliers are unique to this particular franchise. I know they make up the countertops in-house. The windows are sourced from a small manufacturer also local to the town. Cool tip, thanks. We've got three Castles near us down Hamilton way, so I'll check them out. We're replacing a few windows this year as well and I think I'll take a crack at the smaller sliders in the bedroom and kitchen myself. I will be avidly following your window experience. Great tip on the exterior gloss paint. I have some trim to redo soon as well. I've never done windows before, so I expect some engaging conversation about the bits I do wrong on here. TBH, I'm hoping for it. Once these are done in the Barnhouse, I have some basement sliders to put in at home - bought last fall and not yet installed. I fear them. And drilling/screwing into concrete is scary. Back to the kitchen. LWTG has given me confidence that maybe I CAN make doors and drawers. I ran to Home Depot to buy a sheet of MDF the other night, only to find that there is a $1 difference between 3/4" MDF and 3/4" GBS plywood. I forget what the outside plys are, but its not maple or oak or anything. It IS good enough for drawers though. First step was to knock down the huge sheet into drawer-sized pieces. I cut it to the length of the drawer sides (20") and to the widths of the different drawers (some 18" and some 12"). I had brought home a handful of drawers to use as templates, so I had something to copy. The old drawers had a rabbet cut in the ends of the sides and then the fronts were glued and nailed on. Most of the fronts had been ripped away from the sides, and were being held on by a variety of fasteners. It was ugly. Some research suggested that a joint called a drawer lock joint would hold the fronts and sides together better, so I decided to give it a go. I learned in machine shop that if you want to make a bunch of parts with exactly the same end, you are best to cut the detail in the large stock before parting it down ti individual pieces*, so I applied the same idea here, and cut the fine joints in the sheets instead of making drawers first. 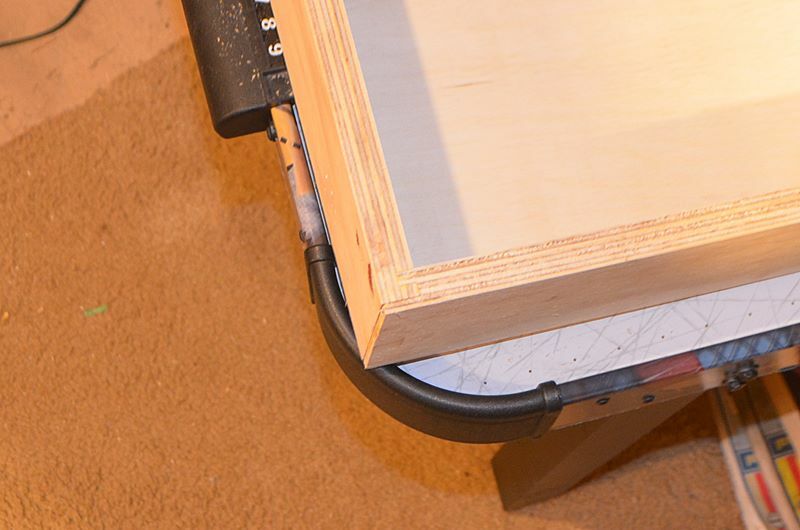 First I'd have to put the dado blade in the table saw and cut a rabbet in the front and back pieces of the drawers. With the rabbets cut, I moved over to my router and set it up with a 1/4" T-slot cutter. 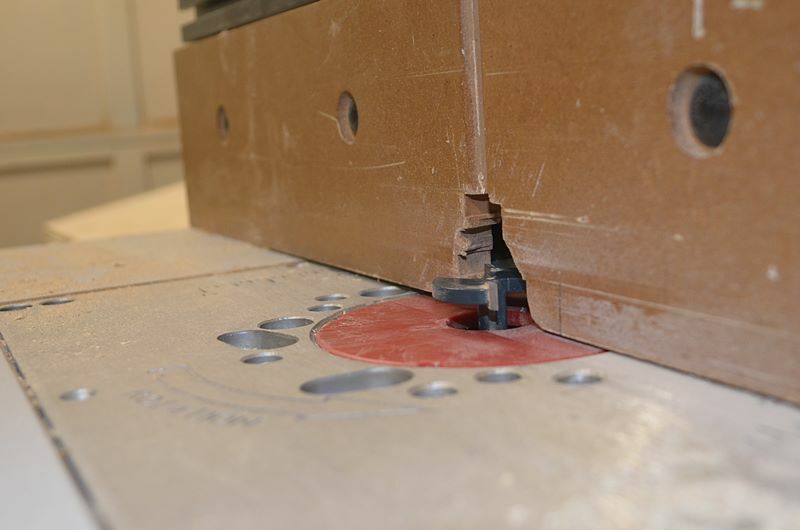 The cutter would slit a groove in the board. Sadly my router and I have never been on good terms, and as I cut the slot, the cutter tried to rise up through the board. I caught it in time, made adjustments and carried on, but a number of the drawers will have sloppy tolerances on the joints and may need some screws. In any case, I did manage to cut the profile I was after. This concluded my work on profiling the edges of the fronts and backs of the drawers and I moved over to the sides. The sides were much easier. I just needed a dado set far enough off edge to receive the end profile I had cut in the fronts and backs. It went lickety-quick, and without incident. With that done, I parted out the individual drawer bits and made stacks of fronts, backs, and sides. Finally, I ran all the the parts through the dado blade and cut a 1/4" slit to receive the drawer bottoms to be cut of matching 1/4" plywood. This was all boring stuff, so I didn't take photos of the steps, but here are the stacked parts. With all the parts cut, I went to bed. *Note - this is also an excellent way to scrap a large quantity of stock all at once. Be sure you measure well. This morning I tried assembling Drawer 1. I had done some dry fits the previous day and through the process, so there weren't a lot of surprises. I put loads of glue in the joints. It makes a good lubricant for the parts to slide together, and it fills voids and hides mistakes. At least that;s what I tell myself when things are a little sloppy. I used a tonne of clamps to hold things together. 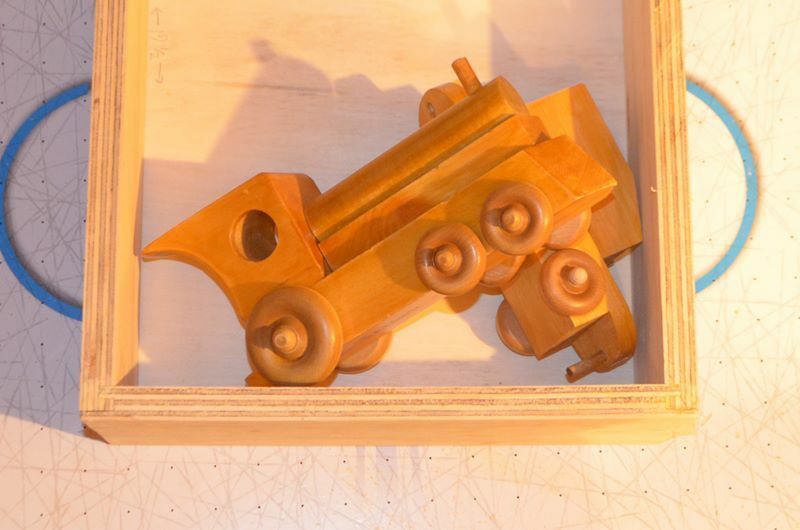 But it always takes a tonne of clamps to hold things together. The corners look OK so far. Some gaps, but the joints are strong mechanically, even if they aren't all going to be showpiece pretty. Stupid Router. And finally, a drawer box with a failed-to-sell etsy train for scale. I have understood very little of these posts - BUT - I do know that "a failed-to-sell etsy train" is NOT a standard measurement! Was the train a charm for a bracelet or a ride'm toy for a toddler? In any case - AWESOME JOB Prospector; you're getting there! That's some nice looking joinery, in my completely untrained opinion. Nice job! nice joints. 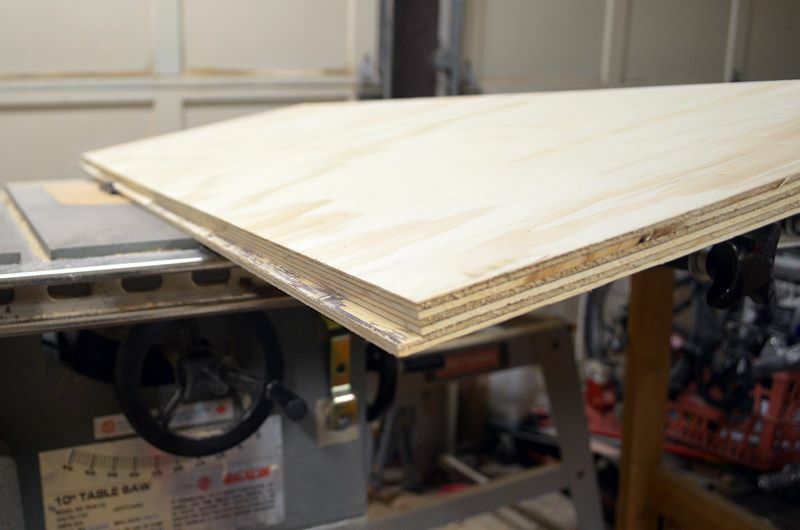 i like how those dados line up perfectly with each layer in the plywood. planned or just lucky? Good catch. That's a nice touch, I agree. Thanks for the kind words folks. Any aesthetics are pure luck. I've glued up all the small boxes, now I need to cut bottoms for the big boxes. If I had twice as many clamps as I do, I could already be done. The only delay at this point is waiting for glue to dry. Maybe after Momma gets home from Beavers tonight I'll get started making the fronts. I made big box bottoms last night. Will start to glue up big boxes at lunch today. Last night's glue up went not super-fantastic since the boxes were made with the portion of the wood where the router bit wandered. I added more glue and hope it will hold "well enough." Some screws may go in there to provide extra holding power. Today I'll glue up two big boxes - one at lunch and one after cadets. I may also sand some of the small boxes if I'm not too tired. This morning the building centre called. My countertop is done and ready for delivery. They'll bring it by on Saturday AM. Perfect! My Dad is coming up to help with the install. this means we need to rip out the old counter on Friday night and prep for the new one. I'm not sure how we'll anchor in the countertop just yet since the built in place cabinets used boards that are not conducive to being screwed through. We may need to build a web to attach to. Time to watch some U-Tube. The old counters were chipboard with a laminated-in-place top. They were top-nailed in place, then laminated. Post-formed counters will have to be screwed from below. This provides an interesting puzzle, and I'm sure we can find the solution with only a little head scratching. I look forward to hearing what you come up with. Replacement countertops are potentially on our list while we wait to refill the "big renovation" bucket. Today I'll glue up the laast of the drawer boxes. Yay! Now I need to make "faceplates" or drawerfronts. Whatever you want to call them. Looking online I see advice to seal MDF before painting - suggestion is to use drywall compound on rough edges, allow to dry, then sand profile. back to quality, using the shaper/router bit to do a final scrape before sanding. The advice is also to paint using oil based paint (I'm not sure if that stuff is even available anymore) and to spray on the finish. Does anyone care to chime in with what they do to get best results painting MDF?? When I've done it, I've done the prime/sand/prime/sand cycle a few times until it becomes acceptably smooth, then apply the finish paint. Drawer boxes are all glued up. A few are out of square a little, but I'm not sweating it. I'll take a couple up with me this weekend to be sure they fit before final sanding. If its all good, then when I get back home, I'll make drawer fronts and paint them so I can install the drawers next weekend. My Dad is coming up to lend a hand tonight and tomorrow, but being a good Christian, he needs to be brought back to civilization on Saturday afternoon. Momma is away this weekend. This becomes complicated because in the coming weeks we have a packed schedule and it will be hard to get back to barnhouse in the next 3 weeks. Also we need to start showings for renters. Do I turn around in the driveway and drive straight back to keep on working? Do I ask pops to drive his own car? I'm not sure. We'll figure something out. - Paint cupboard frames and inners. With all of that done, we will just need new floors upstairs and I will declare the house complete for our first tenant. Whenever tenant 1 moves out we'll talk about a redo of the bathroom and kitchen. Of course in the spring we will need to take care of landscaping in the back yard, and we will need to deal with the basement. Busy weekend. If your Dad has such a tight schedule re getting home (Saturday? Sabbath is Sunday, or not for Mormons? ), and you have such a tight schedule for getting Barnhouse ready, it makes sense for him to do his own driving. Are the kids with you or Momma this weekend? If they are with you, you then have to bundle them up as well to get your Dad home, which adds its own layer of frustration and lost time. If I were your Dad I would be driving myself. When my friend goes to babysit her grandchild she often gets picked up and driven by her daughter - I would prefer to do my own driving and be more autonomous. Happy Birthday. I hope you get some cheeseburgers and cake - not necessarily in that order. Can't wait to see the finished drawers. Happy belated, current, or future birthday as I am not sure when it is. I hope you could make good progress today! Okay now that weird thing that was happening in Sam's journal is happening here too. WTF internet?